It is with great pride and enthusiasm that we welcome you to our 56th year of T-Birds football! The best youth program in the West Texas region we are the oldest and have won over 62 little bowl titles and hundreds of division championships. 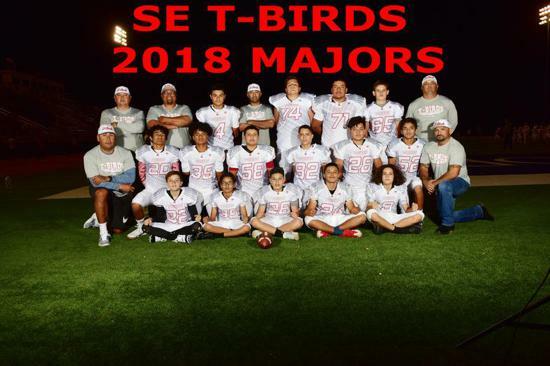 Since 1962 T-Bird Youth Football and Cheer has been dedicated to the growth and development of youth football players and cheerleaders ages 5 – 13 years old. Whether you’re a returning player, first year participant or T-Bird fan, we’d like to extend our greetings to you, and hope this season proves to be a fun and rewarding experience. Football is a great team sport that will build a young man’s understanding of how to work hard, develop commitment, loyalty and pride. We have had a lot of players come through our youth program and go on to do great things at the high school, college and even the pro level. 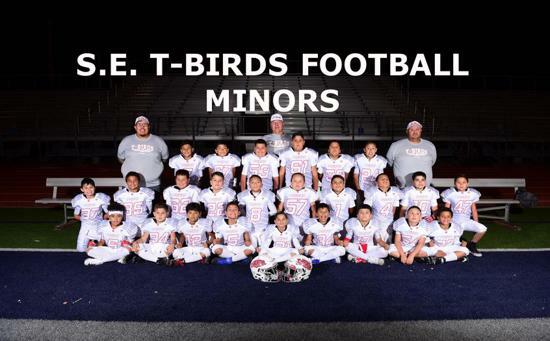 T-Bird Youth Football and Cheerleading is a volunteer organization and its success is because of the dedication and commitment of our volunteers and our families! We would like to take this opportunity to thank all family members who have or will volunteer their time and talents this upcoming season. Lastly, we thank you for trusting us with your most treasured “possession," your child. A safe, enjoyable, and rewarding experience for your child is our number one goal. We thank you for your interest and your continued support. It is our sincere hope that we have an exciting and rewarding football and cheerleading season. Practice days are Tuesday and Thursday at 5:30. Saturday's till games start at 9:00. 1st game is March 30th. 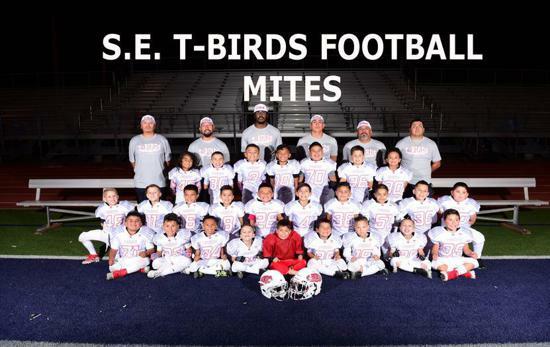 T-Birds football Program offers tackle football for children ages 6-13. ©2019 SE T-Birds / SportsEngine. All Rights Reserved.